This is an exciting week at Tiny Bake Shop! It’s been a whole year, one entire year, since I took over Awesome Cupcake from my wonderful friend, Sarah. That makes it an Anniversary! There have been a lot of changes over this past year: a new location, a new name, more fantastic cupcake flavors, more cakes and wedding cakes, and now a new, updated website with a blog! I should probably start writing some sentences that don’t end in exclamation points but I’m not sure my enthusiasm will let me! 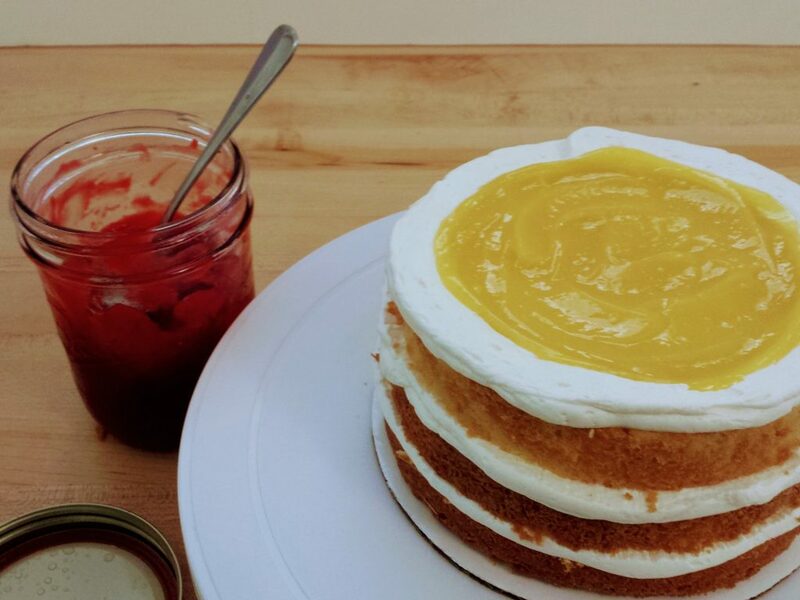 Vanilla cake with my favorite lemon curd and raspberry curd. I just want to eat that straight out of the jar! So much yummmmm. So let’s chat real quick about the blog part of this new and improved website. Well, in all honesty the website is still being improved and I’m still adding pictures and such. You should definitely take a look around and tell me what you think. But, on to my next most favorite part, the blog… I couldn’t wait any longer to tell you about it! It will be so much fun! 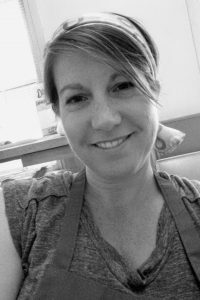 My hope for the blog is to share with you a view of what goes on at Tiny Bake Shop, my baking process whether it’s cakes, cupcakes, or something else tasty as well as some recipes and a how-to or two! Paleontological find — complete dinosaur bone. One of my very first cakes and it was a big one! Making sea blue EDIBLE sequins. I’m also looking at having a once or twice a month feature of sorts where I will be highlighting a “baking tip” and I want you to join in by sending your favorite and most helpful tip. If your tip is chosen you’ll receive a special surprise from Tiny Bake Shop! What could be more exciting??!! I couldn’t do it all without some great help every now and then. 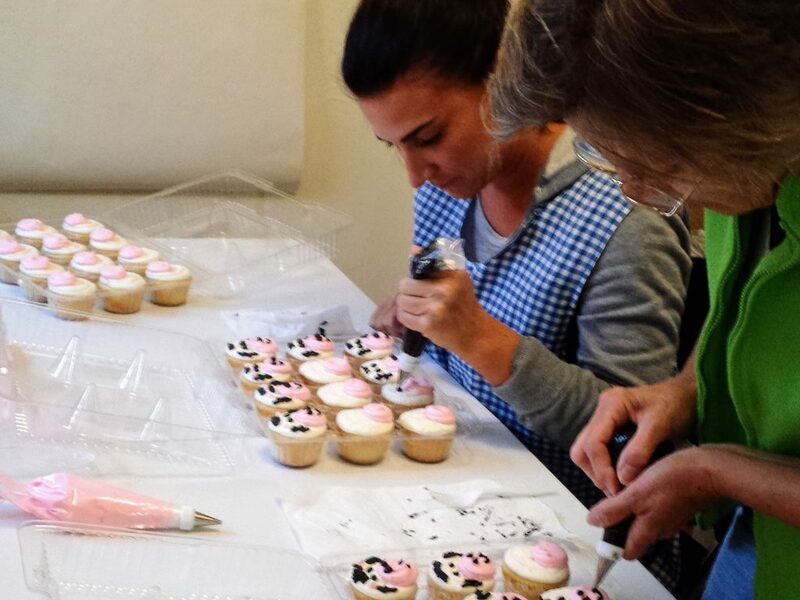 Especially when it comes to frosting and decorating 400 specialty cupcakes! Come along on this new adventure with me and let me know what you think! Yep, that’s me! Taking a little break. Nice start! Looking forward to seeing more. I’ll be ordering a cake again soon. They are delicious.